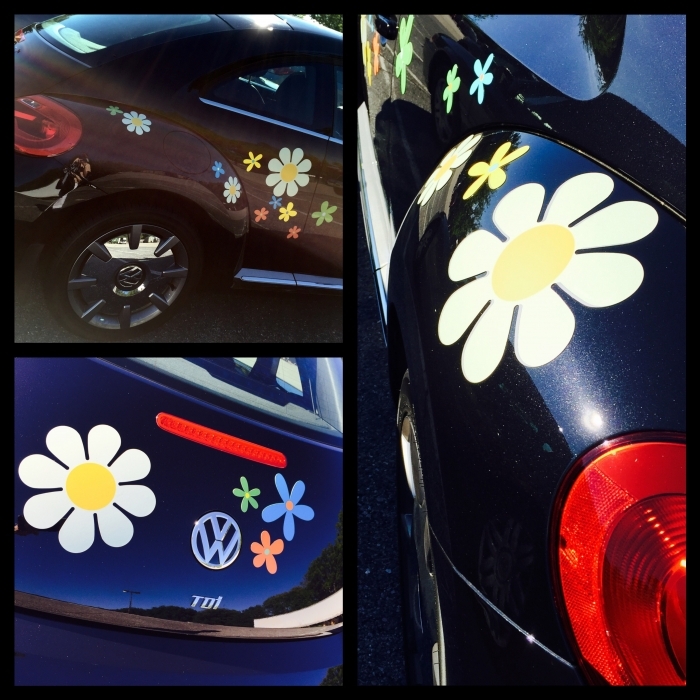 Are those wild daisies sprouting on your car? Classic warm white petals with a sunshine yellow middle on an indoor/outdoor magnetic backing. Packaged as a set of 4 ready-to-bloom magnets. Two large 4.5" and two extra large 9" retro daisies. The petals are a cream color soft white to offer slight contrast on white or very light color vehicles. Second purchase. Others steal them off of my car! So bought 3 sets this time. I was very impressed with the quality of the magnets at a great price! I found the "warm white" to have a light greenish tint.